The UK Radioplayer has got off to an "encouraging" start according to its Chairman. Radioplayer launched back in March – bringing together BBC and commercial stations in one place – with the latest developments including a player building tool to encourage smaller commercial stations to get involved in the initiative. 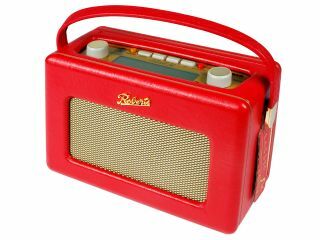 Radioplayer had 5.7 million unique users in May 2011, with over 22.5 million listening sessions launched using the service across a wide range of 228 commercial and BBC stations. "This is a really encouraging first set of figures," said Radioplayer chairman, Andrew Harrison. "We look forward to building on this very positive foundation to create something that serves both industry and listeners alike," Mr Harrison said. Radioplayer is trying to make the way in which Brits use the web to tune into their favourite stations as easy and user-friendly as possible. Radioplayer MD, Michael Hill added: "Growing digital radio is a long game, but we now have two magic ingredients. A simple, consistent Radioplayer with millions of users, and an industry working collaboratively on its digital future." Around 5.3 million Brits currently use the internet to tune into their favourite radio stations, according to latest figures from RAJAR.